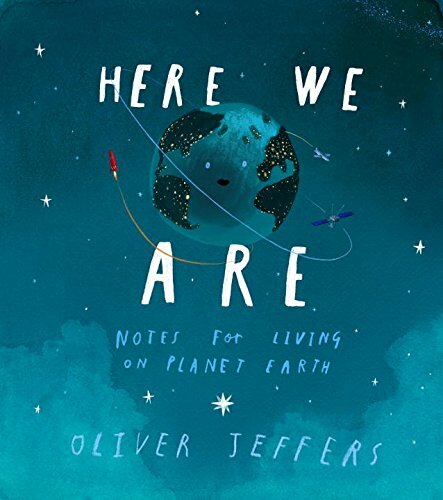 Here We Are: Notes for Living on Planet Earth by Oliver Jeffers, Oliver Jeffers, No. 1 bestselling book of New York Times Best Sellers. A guide for new arrivals to the planet Earth. Look for a special glow-in-the-dark picture [Note: make sure to “charge” it under a light first]. The #1 New York Times bestselling phenomenon—over two years on the bestseller list! 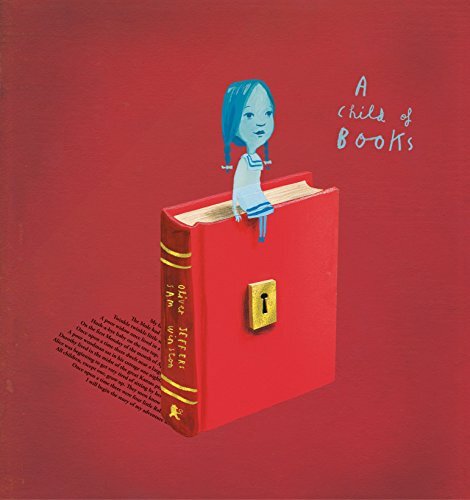 Ten years ago, Oliver Jeffers’ first picture book, How to Catch a Star, featured an unnamed boy in a red-and-white striped shirt who captured the hearts of kids the world over. That same boy went on to be featured in three additional books, including Lost and Found and The Way Back Home, both of which became kid favorites as well. Now these three delightfully quirky picture books are available together for the first time, as mini, unjacketed hardcover editions, enclosed within a gorgeously designed die-cut slipcase. 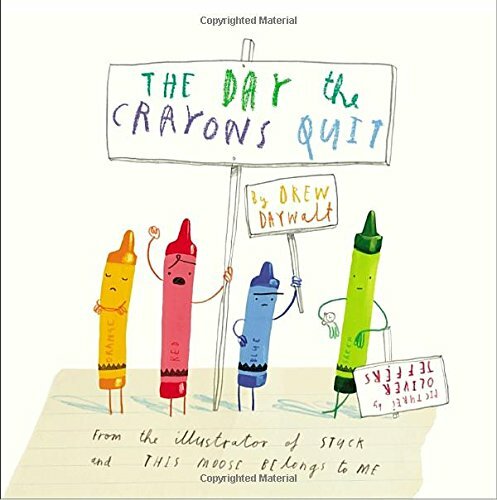 The perfect gift for any holiday or special occasion, this gorgeous collection is a wonderful introduction to the #1 New York Times bestselling illustrator of The Day the Crayons Quit. 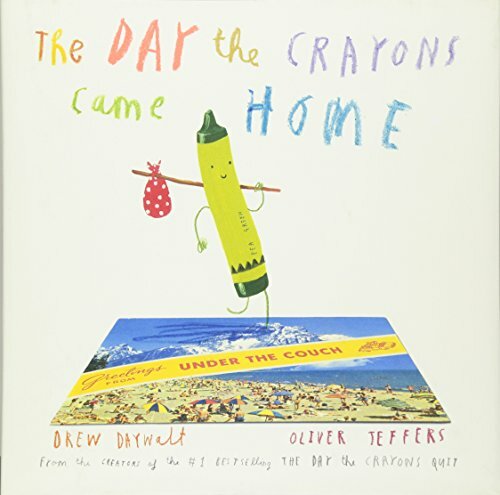 From the illustrator of the #1 smash The Day the Crayons Quit comes another bestseller–a giggle-inducing tale of everything tossed, thrown, and hurled in order to free a kite! When Floyd’s kite gets stuck in a tree, he’s determined to get it out. But how? Well, by knocking it down with his shoe, of course. But strangely enough, it too gets stuck. And the only logical course of action . . . is to throw his other shoe. Only now it’s stuck! Surely there must be something he can use to get his kite unstuck. An orangutan? A boat? His front door? Yes, yes, and yes. And that’s only the beginning. 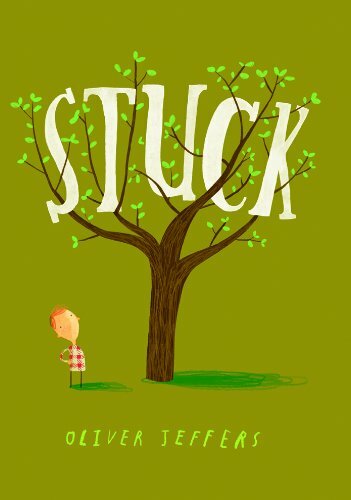 Stuck is Oliver Jeffers’ most absurdly funny story since The Incredible Book-Eating Boy. 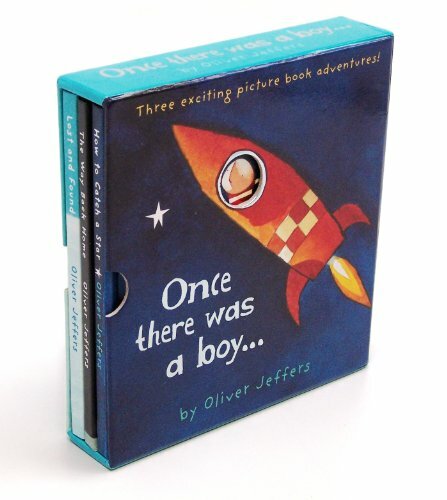 Childlike in concept and vibrantly illustrated as only Oliver Jeffers could, here is a picture book worth rescuing from any tree. 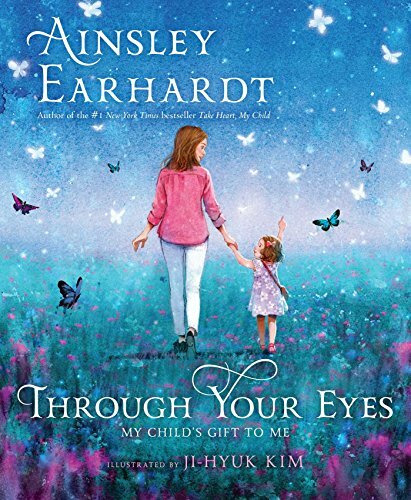 From the #1 New York Times bestselling author of Take Heart, My Child and popular FOX news anchor Ainsley Earhardt comes a sweet new book that celebrates everyday wonders and miracles. Ainsley Earhardt reflects on her experiences as a mother and viewing wonders of the world through a child’s eyes in this stunning follow up to Take Heart, My Child. So often as we race through life, we need the wisdom and perspective of a child to remind us what is important and what should be celebrated and remembered: the everyday joys and miracles and simple pleasures of life. Our children teach us and awaken our own inner child. 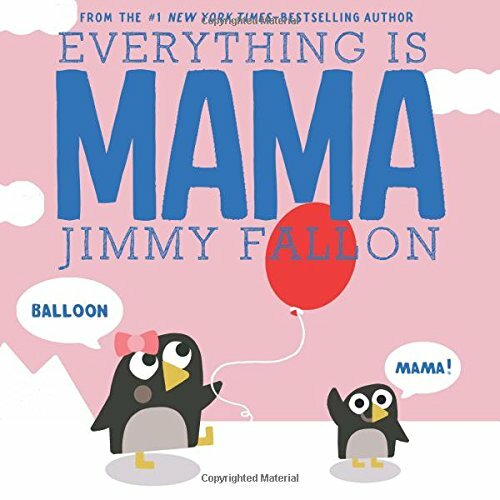 Jimmy Fallon, one of the most popular entertainers in the world and NBC’s Tonight Show host, was on a mission with his first children’s book to have every baby’s first word be DADA. And it worked! A lot of babies’ first words were DADA. However, everything after that was MAMA. So take a lighthearted look at the world from your baby’s point of view as different animals try to teach their children that there are other words in addition to MAMA for familiar objects and activities. From NBC’s TODAY coanchor Savannah Guthrie and educator Allison Oppenheim comes an empowering fairy tale with a twist. In the tradition of Not All Princesses Dress in Pink and Princess in Black, Princesses Wear Pants follows the unflappable Princess Penelope Pineapple, who knows how to get the job done while staying true to herself. Princess Penelope lives in a beautiful palace with a closet full of beautiful dresses. But being a princess is much, much more than beauty. In fact, every morning Princess Penelope runs right past her frilly dresses to choose from her beloved collection of pants! What she wears each day depends on which job she has to do. Will she command the royal air force sporting her sequined flight suit? Will she find her zen in her yoga pants and favorite tee? Or, will she work in the kingdom’s vegetable garden with pocketed overalls for all of her tools? Unfortunately for Princess Penelope, not everyone in the Pineapple Kingdom thinks pants are always appropriate princess attire. When the grand Lady Busyboots demands that Princess Penelope must wear a gown to the annual Pineapple Ball, the young royal finds a clever way to express herself. Penelope’s courage (and style choices) result in her saving the day! In their debut children’s picture book, Savannah Guthrie and Allison Oppenheim team up for a savvy and imaginative story that celebrates fashion and girl power. 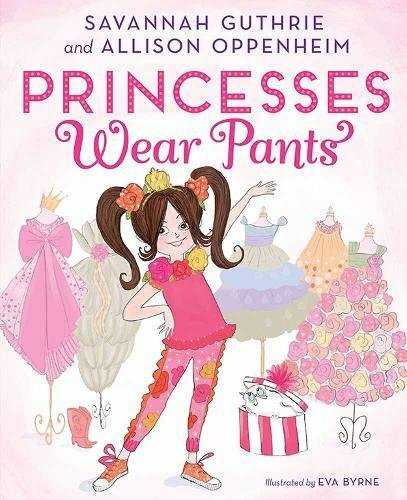 Perfect for fans of Nickelodeon’s Nella the Princess Knight, Princesses Wear Pants challenges gender stereotypes in the name of individuality, showing girls it’s not how they look but what they do that matters. Throughout American history, there have always been women who have spoken out for what’s right, even when they have to fight to be heard. In early 2017, Senator Elizabeth Warren’s refusal to be silenced in the Senate inspired a spontaneous celebration of women who persevered in the face of adversity. 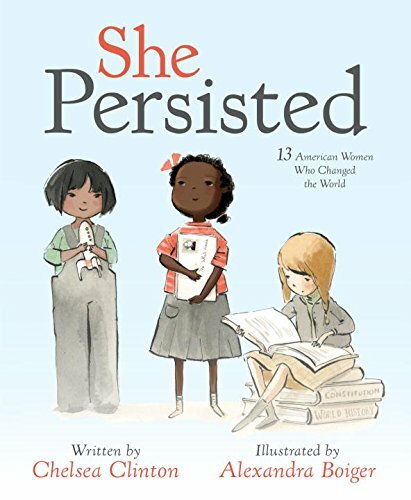 In this book, Chelsea Clinton celebrates thirteen American women who helped shape our country through their tenacity, sometimes through speaking out, sometimes by staying seated, sometimes by captivating an audience. They all certainly persisted. With vivid, compelling art by Alexandra Boiger, this book shows readers that no matter what obstacles may be in their paths, they shouldn’t give up on their dreams. Persistence is power. News alert! It has just been discovered that there are NO MORE TACOS left anywhere in the world. This is a huge problem because, as you know, dragons love tacos. If only there was a way for the dragons to travel back in time, to before tacos went extinct. Then they could grab lots of tacos and bring them back! It’s the perfect plan, as long as there’s no spicy salsa. You remember what happened last time . . . 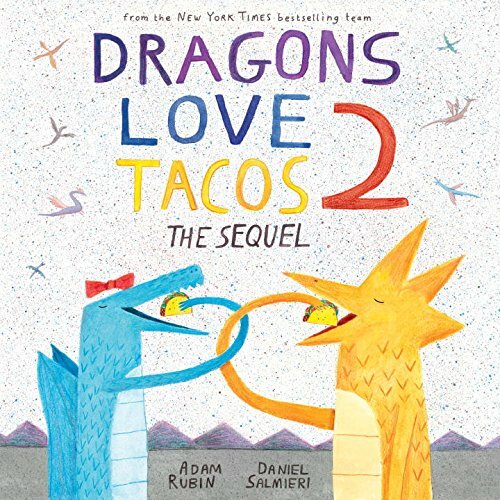 The award-winning creators of Robo-Sauce and Secret Pizza Party return with a gut-bustingly hilarious companion to the bestselling phenomenon Dragons Love Tacos.